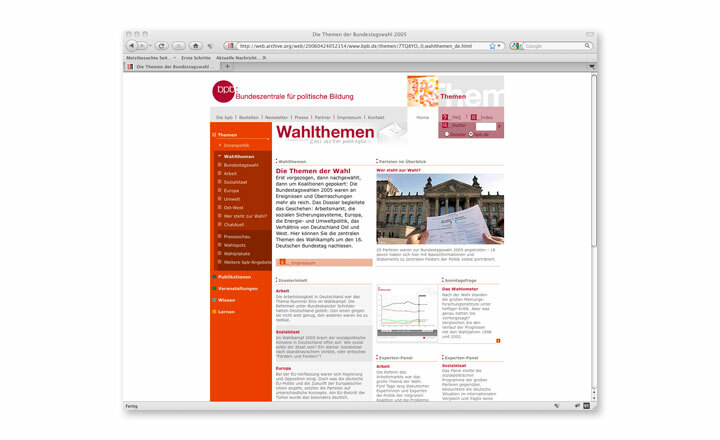 Website about the elections to the Bundestag 2005. Role: Information Architect, Editor. Client: bpb/arte. 2005.